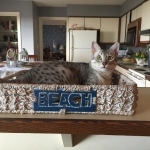 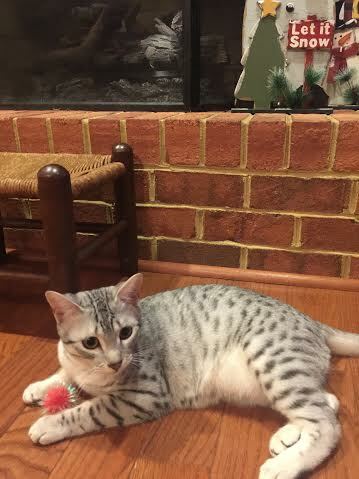 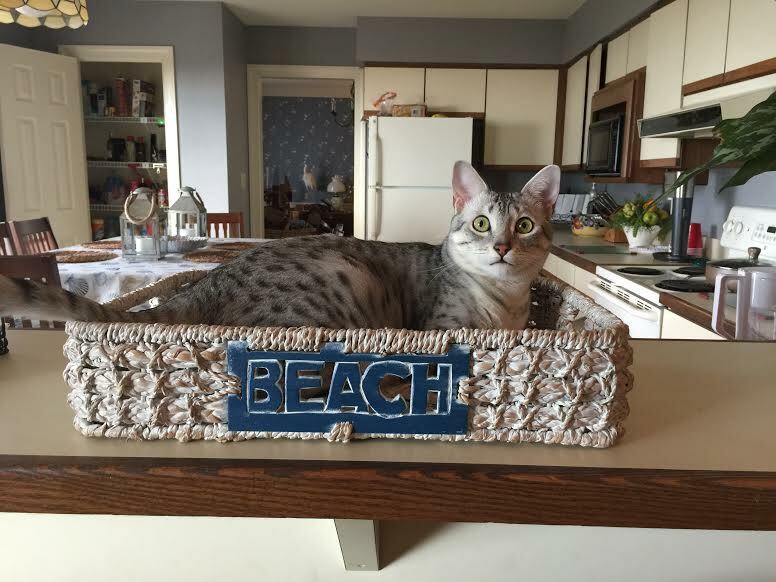 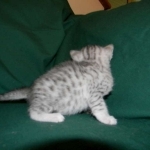 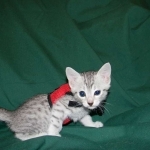 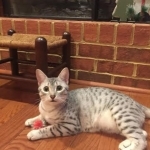 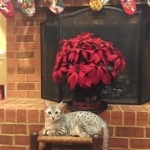 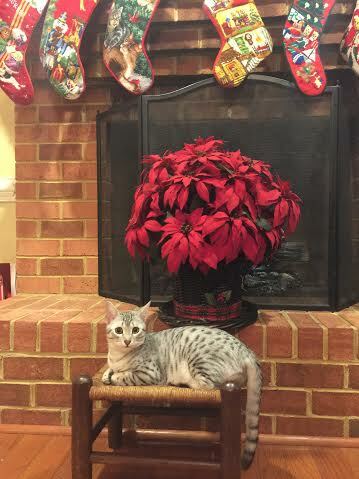 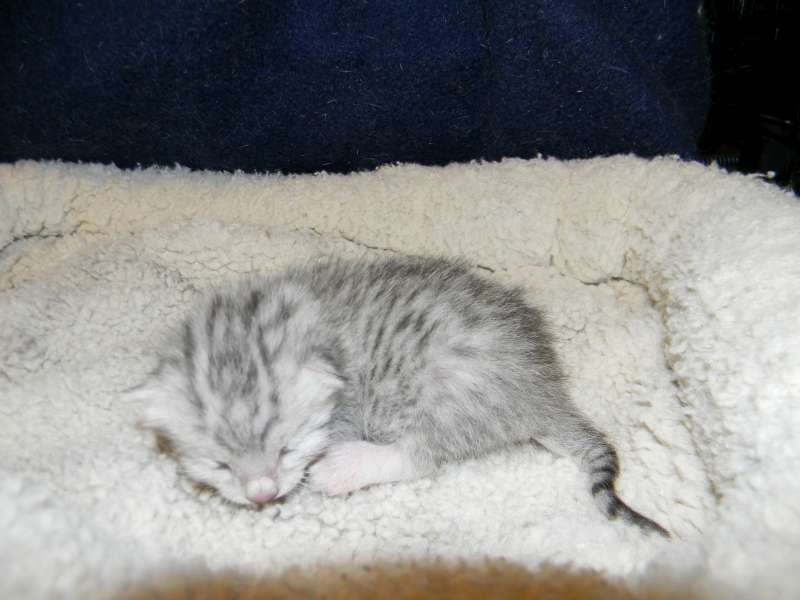 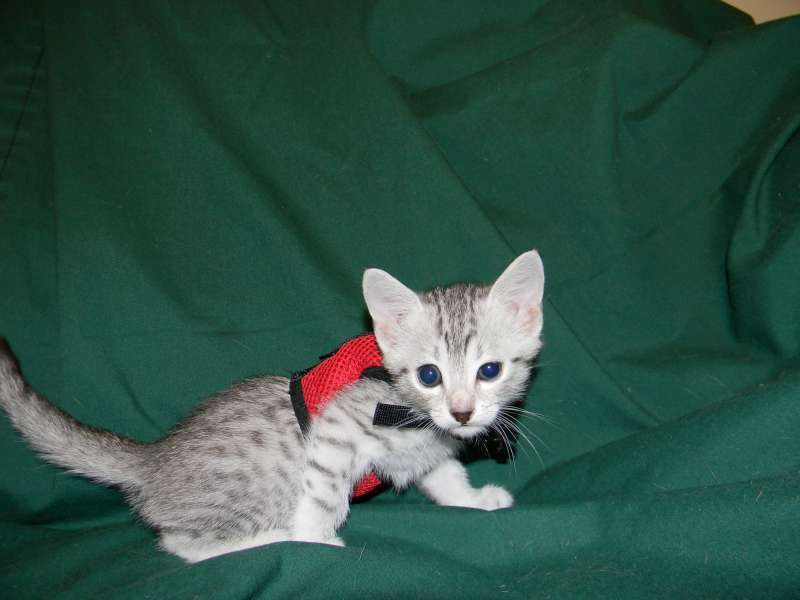 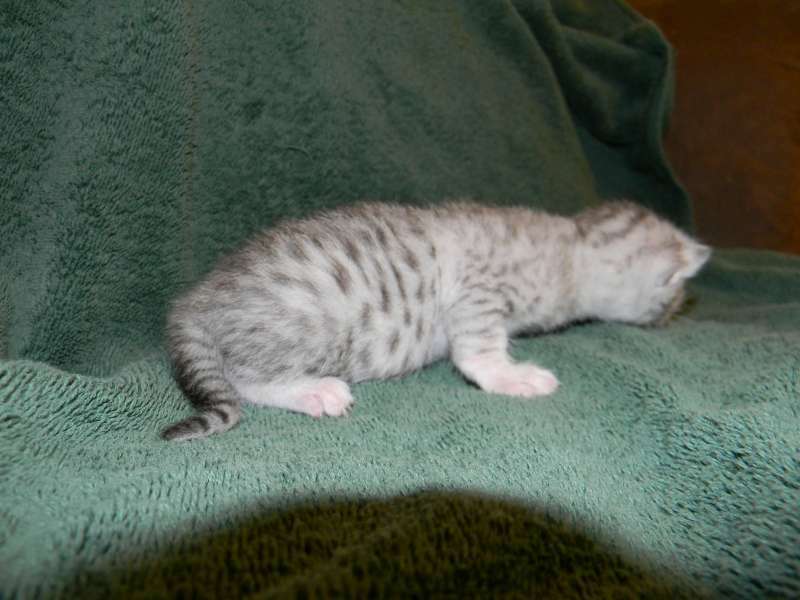 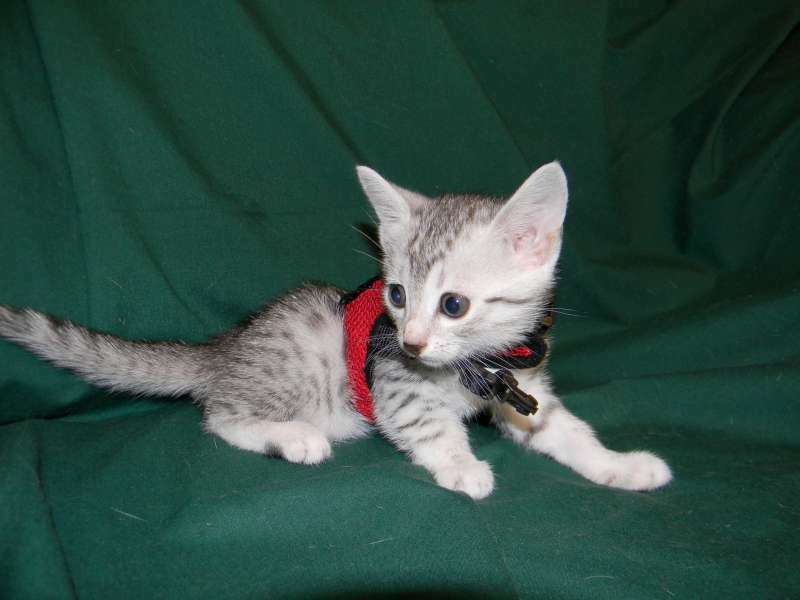 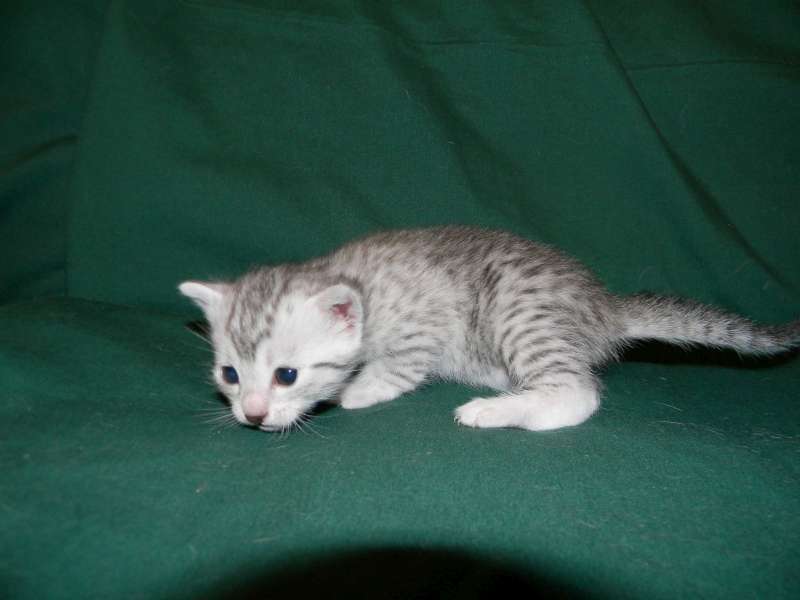 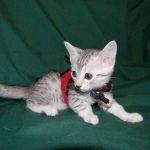 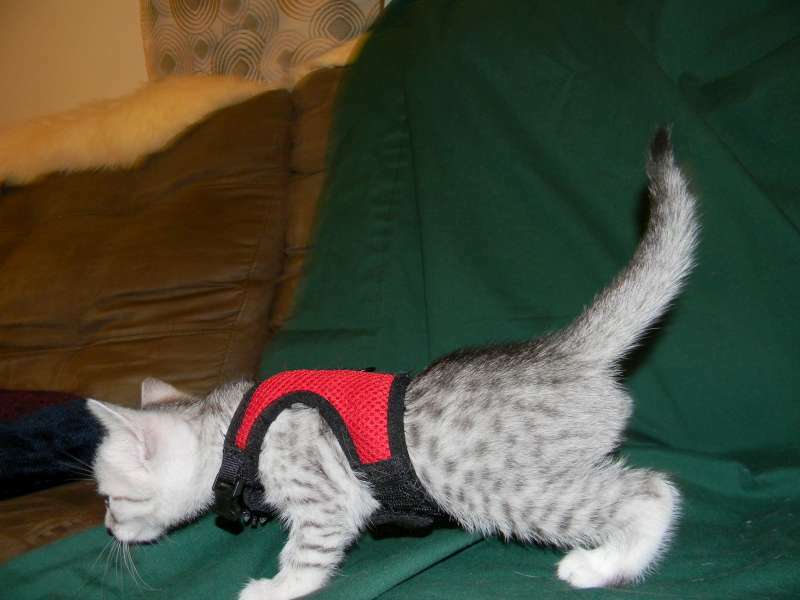 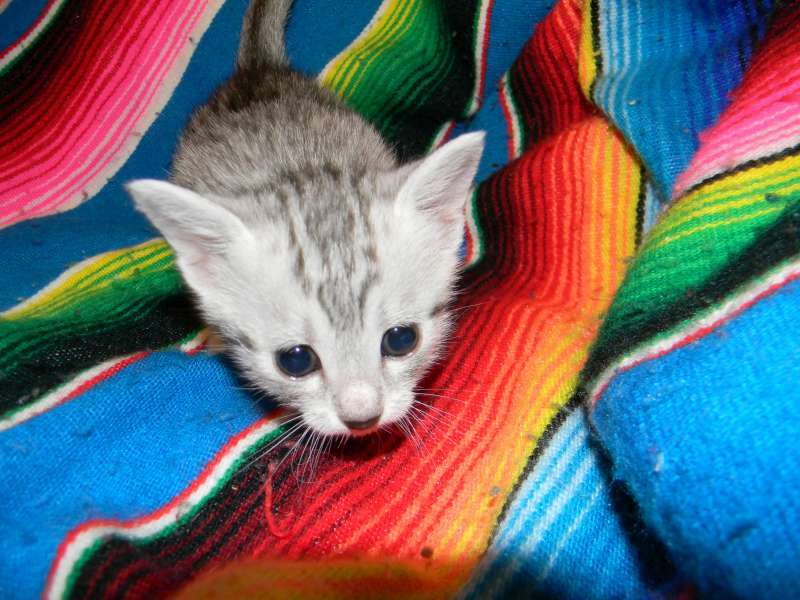 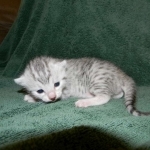 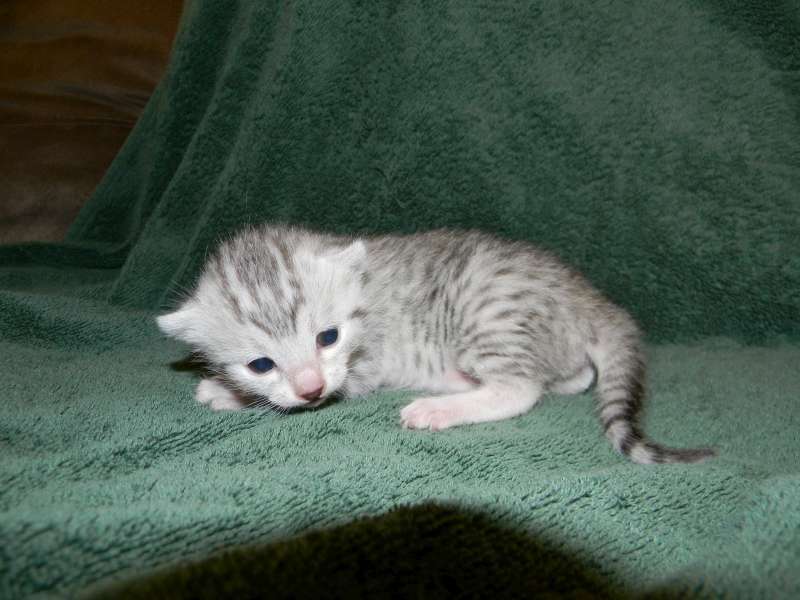 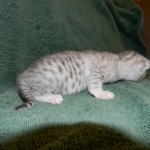 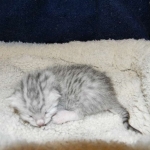 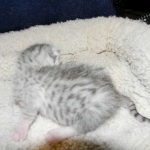 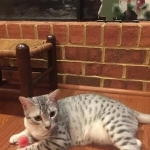 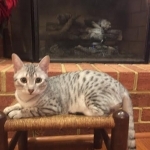 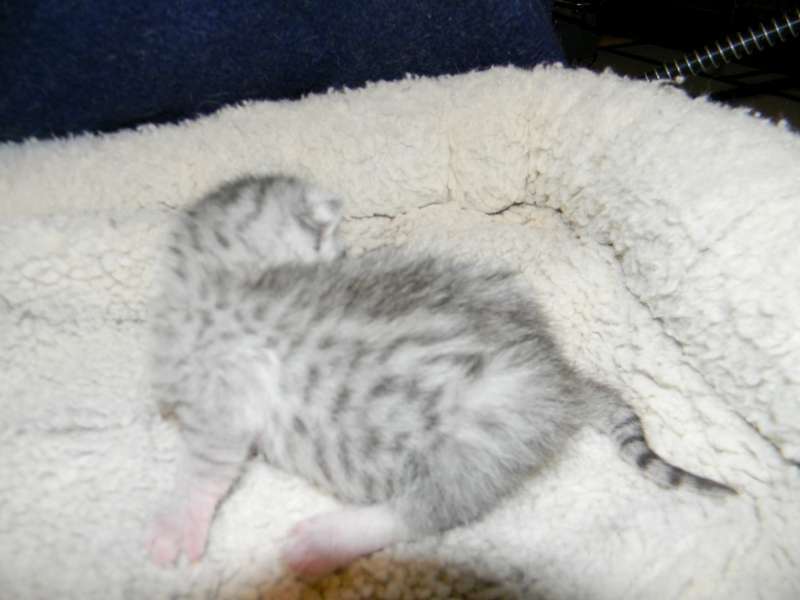 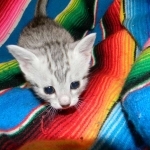 Chloe, a stunning little silver Egyptian Mau girl will be going home to Melissa and Mike in VA.
Sooo Tiny now she will be a beautiful girl. 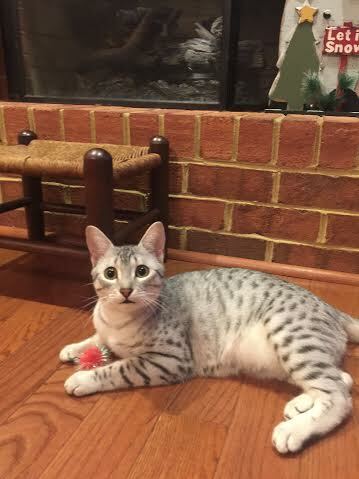 Showing her lovely Mau spots. 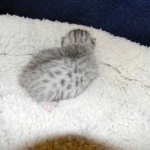 Starting to get around a little now. 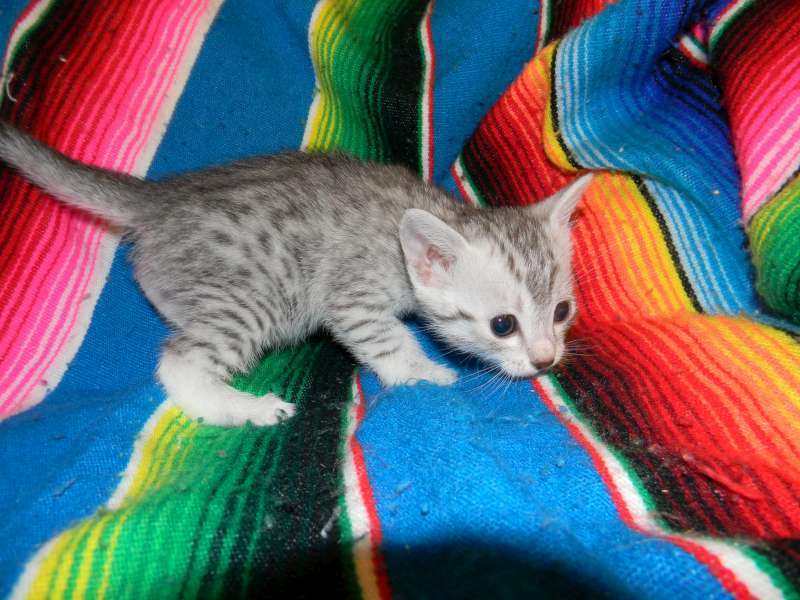 What a beautiful little Mau girl. 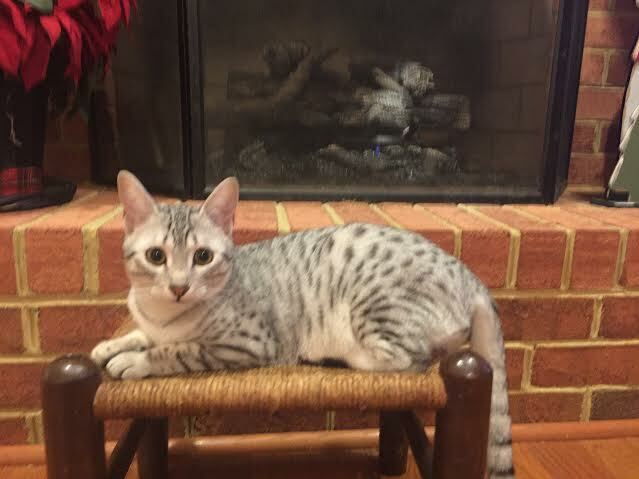 This Mau girl has great spots. 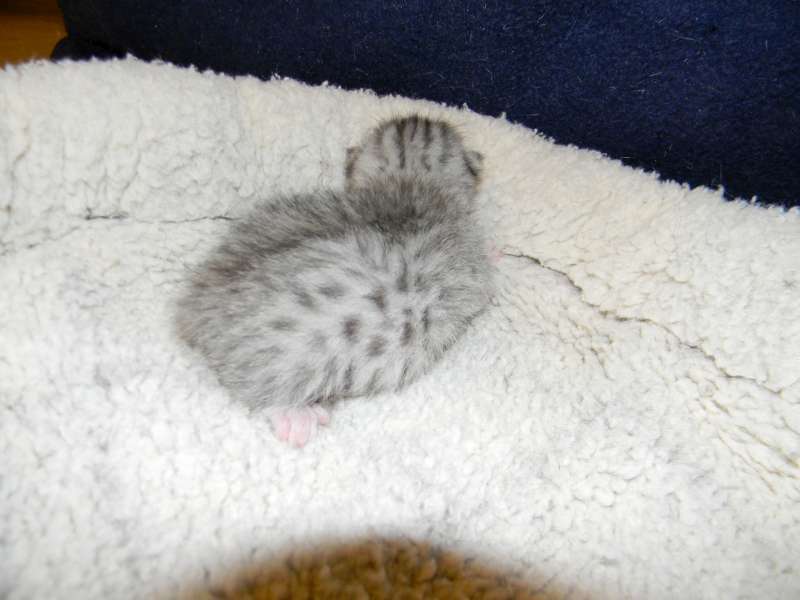 I got a better one!